For many years we have had the ‘Madiba’, rose but now it is official: South Africa has a ‘Nelson Mandela’ rose, which is a fiery orange-red, produced in abundance on a vigorous, healthy bush. The rose itself, like the man after whom it is named, grows strongly, is tall (reaching head height), and matures into a stately bush, covered by shiny, dark green foliage and striking, semi-double blooms. Initiated by Keith Kirsten in consultation with the Nelson Mandela Foundation, the rose was launched at the Nelson Mandela Foundation in Johannesburg. Proceeds from the sale of the rose will be donated by Keith Kirsten to the Foundation, which is a facilitator of his living legacy and is mandated to promote his lifelong vision of freedom and equality for all. This Eco-Chic variety may stand proudly on its own as a focal point in a garden and is ideal for planting as a screen or to hide an unattractive wall or fence. It joins a gallery of roses named after eminent South Africans, celebrities, sports people, cities and towns, and even aspects of our unique culture like ‘Rooibos’ and ‘Vuvuzela’. South African gardeners have a love affair with roses. Some of our most superb gardens are rose gardens, and although there are no statistics, it may not be far wrong to speculate that more roses are grown in South African gardens than anywhere else in the world, including Britain (which is the traditional home of the rose!). ‘Brümilda van Rensburg’ (acclaimed actress and queen of the soapies: Egoli and Binnelanders) is an Antico Moderno rose producing huge, fragrant, light pink blooms. It grows to head height. ‘Esther Geldenhuys’ (doyenne of the rose world and influential advocate for roses) is one of our best performing hybrid teas, with perfect soft-coral blooms that win rose competitions and never fail to beautify the garden and the home. 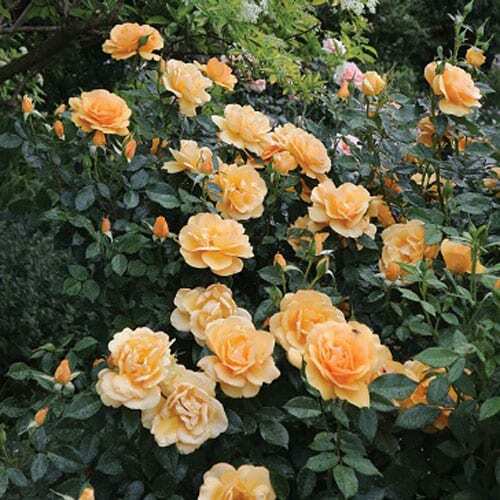 ‘Germiston Gold’ (roses have been named after many towns and cities, but none can compare with ‘Germiston Gold’) has been a gardener’s favourite for more than 20 years, with unfading, frilled blooms on a compact bush. ‘Fordyce’ (legendary sportsman and ultra-marathon champion) is one of the new Stamina roses that is tough, heat and drought tolerant and disease resistant, and produces an endless supply of pale pink roses. ‘Durban July’ (the richest horse race in Africa) flowers prolifically, with clusters of blooms that change from yellow to orange and to scarlet. The bush is small, neat and an asset in any garden. ‘South Africa’ (the rose that endures) is a superb garden performer that has become one of the most poplar garden roses. It is tall, disease resistant and has unfading golden-yellow double blooms. ‘Archbishop Desmond Tutu’ (a man of compassion, always speaking truth to power) is a Fairytale rose with sparkling red, old-fashioned blooms on a disease-resistant, tall-growing shrub. ‘Fairest Cape’ (our tourist treasure, and on everyone’s minds because of the water crisis) is an informal shrub that flowers all season with clusters of blooms and a natural arching growth to chest height. It is lightly fragrant and can also be used as a climber. 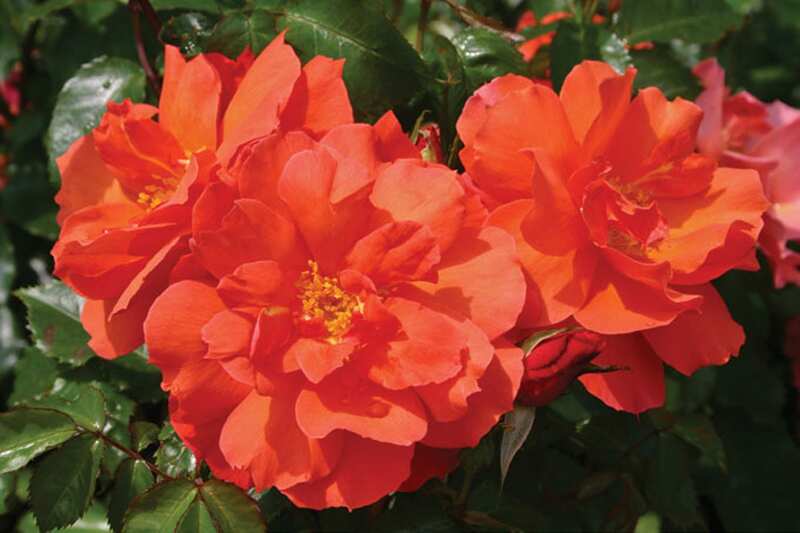 ‘Just Joey’ is the queen of autumn roses, although it must be admitted she is beautiful in any season. 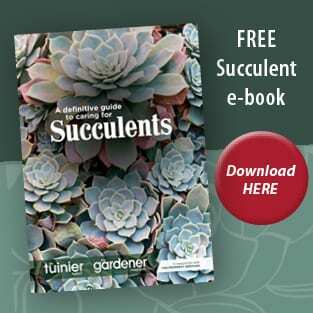 For a show like this you need nothing more than five or six specimens in a group, in a position that receives plenty of morning sun, regular watering and spraying to keep the plants pest free. A green, shrubby backdrop (including elderflower) is fine, but constantly monitor for invasive roots from the shrubs, especially in dry conditions. If the roses start to under-perform, dig down by about 30cm and check for competing roots. Remove alien roots and do this on a regular basis. Watering the shrubs well should prevent too much competition. • In summer-rainfall areas (except the colder Eastern Free State, Underberg and Kokstad areas) fertilise with Vigorosa for the last time. Reduce watering to once or twice a week. If the roses are healthy, with plenty of leaves, spray once a month with Chronos or Rose Protector, to protect against black spot. • Lowveld and other sub-tropical areas, continue fertilising with Vigorosa so that the roses will flower into winter. Water twice a week and spray weekly with Ludwig’s Insect Spray to control aphids, thrips and bollworm. is the case, spray at least once a month with Chronos or Rose Protector to prevent black spot and other fungal diseases. Add Ludwig’s Insect Spray to the mix to control pests. Fertilise for the last time with Vigorosa, and water well afterwards. • In cold regions, like the Eastern Free State and Southern Drakensberg, no more fertilising is needed – the roses should be allowed to go dormant. Gradually reduce watering. • In all areas, add colour to your winter rose garden by planting winter-flowering annuals as a border or edging for rose beds. Good choices are alyssums, diascias, dwarf snapdragons, lobelias, Namaqualand daisies, pansies, grandiflora petunias and violas. • Keep roses looking neat by removing dead blooms.